We ask that everyone please read the following information before filling out our waiting list application. Thank you. 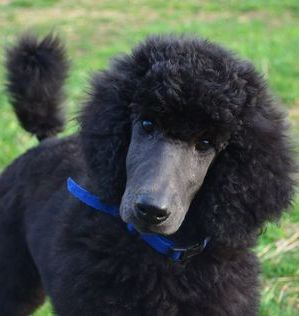 I think I want a D and D Standard Poodle puppy, now what? By doing so you will learn more about us and our Standard Poodles, including pictures and videos of our Standard Poodles, show information, as well as OFA health testing information on each of our poodles. You can also see various testionials, updates, and photos from the new owners of our past puppies. Please note that each of our Standard Poodles has his/her own page on our website, and additional pictures and videos can be seen throughout our website and Facebook page. Please make sure you read over the puppies page of our website as that does go over what we do with our puppies before they go to their new homes. We believe a new owner being prepared for their new puppy is very important. We ask that everyone be prepared for their new puppy before he/she comes home as we want our puppies to get the best new family/home, and their new owner(s) being properly prepared for them can really make a big difference. There are things that you should do before committing to a puppy, and this that you should do before your new puppy comes home. 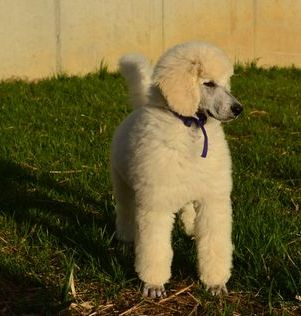 Before you commit to one of our Standard Poodle puppies we ask that you do research on Standard Poodles so you are sure that a Standard Poodle is the right breed for you and so you are aware of what to expect with this breed. You should also read through our website and Facebook page, and contact us with any questions you have so you are familiar with us and our Standard Poodles including what to expect with our puppies before committing to one. There are also things that you should do to prepare you, your family, and your home for your new puppy. Before you get your new puppy we will send you a list of things that we recommend that you get for him/her. Another thing you should look into are things like a veterinarian who is experienced with Standard Poodles (from routine care, preventive care, emergency care, as well as with issues that occur within the breed) as a veterinarian is someone your dog will need throughout his/her life, and pet insurance is another to take into consideration as no animal is perfect, neither is any human an accidents do happen. Please also keep in mind that Standard Poodles do require regular grooming, you should have a groomer in mind and may want to talk to your groomer about how much notice you need to schedule an appointment with them. Remember it is important to keep your puppy used to being groomed on a regular basis. We highly recommend that you enroll your puppy in an AKC S.T.A.R. Puppy training class, puppy kindergarten or similar type program to continue your puppy's training and to help ensure that your puppy is a well mannered well balanced family member (we do recommend research this ahead of time, as classes could have a limit on how many puppies that they will accept in a class and the class could be full by the time puppy is ready to join the class if you do not enroll in advance). Through these training classes, not only do your puppy's manners improve, but so does his/her socialization with other dogs and other people. For those of your who are local or do not mind traveling back to us don't forget we are happy to provide grooming, boarding, and training services to you and your D and D Standard Poodle puppy, as well as other pets too. If you have checked out our website or contacted us and find that we currently have or are expecting a litter of puppies at a time that would fit nicely for and your family, you are ready for the next step. Upon acceptance of your application, a nonrefundable $500 deposit is required to be placed on our waiting list for a puppy from our expected litter, young litter, or to reserve a specific puppy if we have puppies available now. The balance will be due at the time you pick up your puppy. Please contact us for payment information. Why is a nonrefundable $500 deposit required you may wonder? Us accepting your deposit is our promise that we are selling you the puppy, and you sending us the deposit is your promise to purchase a puppy from our expected litter, young litter, or a specific puppy if we have puppies available now. This also helps to determine serious buyers. If we have puppies available now: When we currently have puppies available now, we accept deposits to reserve specific puppies. Us accepting your deposit is our promise that we are selling you that specific puppy, and you sending the deposit is your promise to purchase that specific puppy we have. What if I would like to wait until I can meet the puppies in person before committing to one? For those who do not want to commit to a puppy without meeting him/her first, that is not a problem, we understand. You are welcome to still fill out the waiting list application. If you would like we would be happy to keep you updated on expected puppies / young puppies. Please keep in mind without a deposit there is not a puppy reserved for you, we have first pick of every litter, then those on our waiting list will select puppies, puppies will be sold on a first come first service basis, a deposit is required to reserve a puppy. Please note, not only must puppies be vaccinated before they start having visitors, but we also prefer that puppies not have visitors before the litter has been evaluated (8 to 9 weeks of age). This is because when viewing all puppies, one may get set on a particular puppy, when he/she may not end up being available to them. It is best for puppy visits to wait until after our selection has been made, and then those on the waiting list have made their selection. Those on the waiting list will get updated pictures and videos at the puppies mature. What happens if I reserve a puppy, but there ends up nothing a puppy for me in this litter? If for some reason there ends up not being a puppy for you in the litter you were waiting for, and placed a deposit for, then you have may have the option to wait for our next litter or have your deposit refunded. Please note that we do not sell breeders. All puppies being sold as pets are sold with spay/neuter contract and limited AKC registration. If you are interested in a show dog please inquire for more information and show dog application. Show dogs will come with show contract. Standard Poodles excel in many show venues. For those of your looking for a show dog please let us know what venue(s) you have in mind to show your new Standard Poodle in, and your experience showing. Please take note that even those of you looking for a family pet, even spayed/neutered dogs can take part in AKC show venues except for the breed conformation ring - for example they can participate in rally, obedience, agility, dock diving, nose work, etc shows. Standard Poodles can also be excellent therapy or service dogs as well. How are puppies selected/assigned? 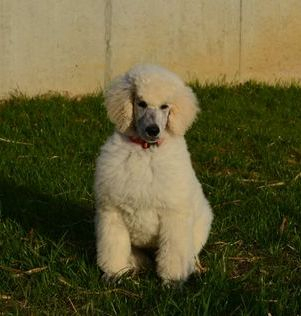 Here at D and D Standard Poodles we do not assign you a particular puppy, however we are more than happy to help you in selecting the puppy that should best fit for your family, future show dog, or service or therapy dog. As always we have first pick of every litter. Puppies that are breed conformation show prospects will be held back for us or another show home. After that puppies wanted for other show venues may be selected, as well as service and therapy dogs, and then the family pets. New owners may select their puppies in their deposit was received. Puppies typically begin being selected and leaving for their new homes between 8-14 weeks old depending on the puppies and the venue they may be wanted for. Do you have questions? Please contact us at DandDKennel@aol.com or give us a call at 610-587-7010. We would be happy to answer your questions. If you have read over everything, you are sure you would like a D and D Standard Poodle puppy, all of your questions have been answered and you are ready for the next step please fill our the application below. Thank you for your interest in our Standard Poodles. We will get back to you soon. Please fill out the entire application below. This is all general information we would like to know about anyone interested in our puppies. By taking a minute to fill out this form, this helps us to learn general information about you as well as what you are looking for. This also helps to determine serious inquires. Upon acceptance of your application you will be contacted to let you know your application has been accepted. If you would like to move forward with ebing placed on the waiting list for a puppy, or reserving a specific puppy - By filling out this form along with my $500.00 nonrefundable deposit, I have agreed to purchase a puppy from D and D Standard Poodles. This form acts as a binding purchase agreement between D and D Standard Poodles and the applicant on the form. Have you had a Standard Poodle before? Have you raised a puppy? Please list at least two references. Please include one veterinarian. Please include full name, phone number, email address, address, and relationship for each reference. When we are accepting deposits for a current litter, we accept deposits for a male or a female puppy (no deposits by colors). Would you like a male or female? Do you have any questions? Is there anything you would like us to know?